Larry the Pug February 18, 2013 What Would Larry Do? How do YOU read the Larry Blog? I love to start my morning by sitting down with a nice hot beverage and my favorite internet device to catch up on all the happenings in the world. I like to read Larry’s latest tips and announcements, find out what happened overnight in my home town, and see the craziness at Dilbert’s office. But, if you are like me, you are less than cheery first thing in the morning, so the last thing you want to do is spend time jumping from one website to another. To lessen my frustrations, and enjoy my coffee a bit more, I’ve learned the joys of RSS! How does it work? It easy! First, using a RSS reader or “feed reader” you will need to subscribe to the RSS feeds for all your favorite blogs and websites. Then, any time you want to catch up on the most recent information, simply start your reader, and enjoy the convenience of everything in one place without sorting through all the banners and mouse clicks. There are a lot of great “feed readers” available, and great place to start is Google Reader. If you are looking for a particular feature, there is bound to be a reader that offers just what you need, so be sure to pick one that best suits your personal needs and style. It may take a few minutes to set up your feeds the first time, but once you’ve subscribed, your favorite websites, blogs, and news will be located in one easy to read place. 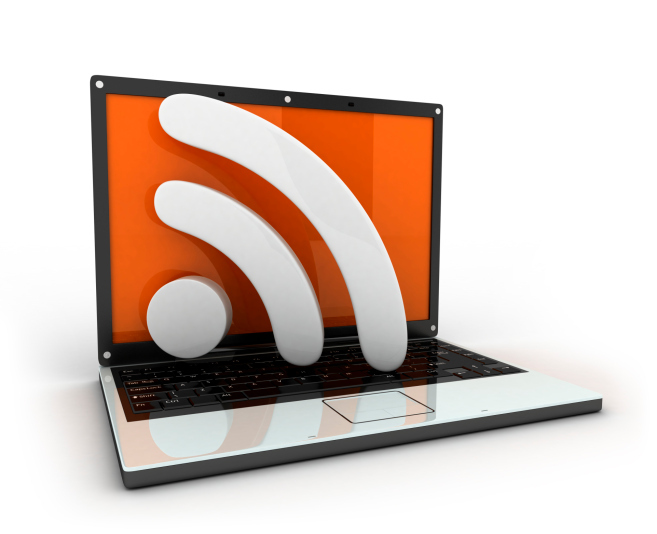 So, set up a RSS reader, and be sure to subscribe to the Larry Blog to stay up to date with the latest goings on at ANCILE Solutions. I’ve been using RSS for several years. I’m amazed at how many people do not use it! It’s much better than getting bombarded with emails or email digests (many of which get ignored). Whereas with an RSS reader I can scan through every posting and choose the ones I want to read. I don’t have to open a individual emails to try and see them all. I use Sharpreader. It’s free and works in Windows PC’s in both XP and Win 7. With Sharpreader the updates download automatically approximately every hour directly to your PC. You don’t have to log in. However, that does limit it to one PC which in my case is perfect. ANCILE uAlign Webinar Coming Soon!